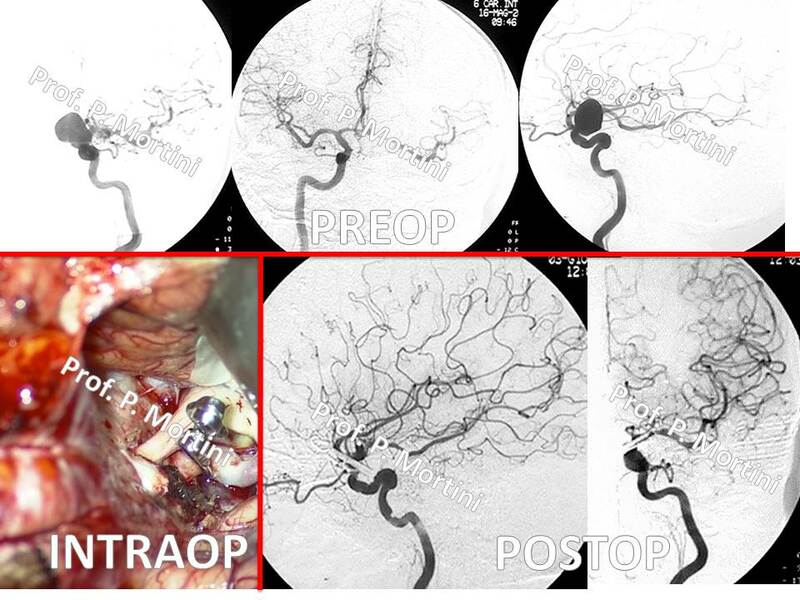 Surgical treatment of aneurysm is designed to seal off the sac to allow blood to flow past it normally. The two primary techniques used today are clipping and coiling. Clipping, the more established of the two treatments, involves the use of a special clip to seal off the neck of the aneurysm. Coiling is an endovascular procedure in which a catheter is inserted into an artery in the groin and guided up through the blood vessels to the site of the aneurysm. Once in place, the tube releases a small platinum coil into the aneurysm, which causes the blood in the sac to clot, blocking circulating blood from entering the sac.